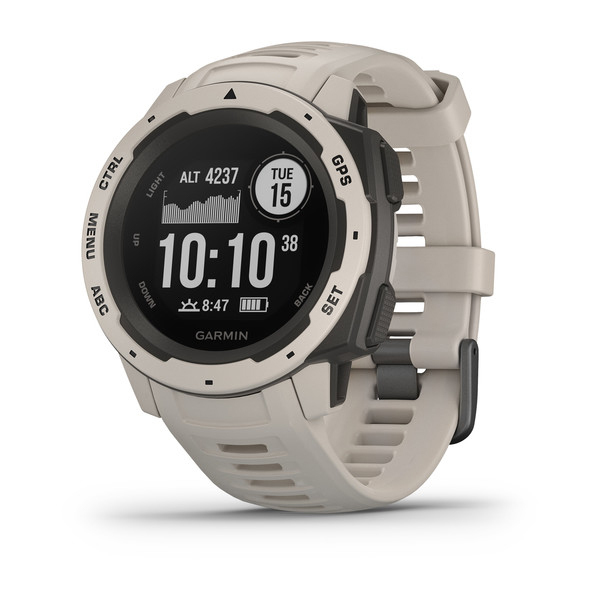 The Garmin Instint is a rugged and reliable outdoor GPS watch that is built to military standards for thermal, shock, and water resistance. The watch is enclosed in a fiber-reinforced polymer case which adds strength and durability and a chemically-strengthened scratch-resistant screen that is high-contrast enough to be read in bright sunlight. Additionally, fully vented silicone bands include two independent removable keeper loops to ensure a secure fit. The Instinct has a GPS you can count on. With GPS, GLONASS and Galileo satellite network capability, the Instinct can track in more challenging environments than GPS alone. A built-in 3-axis compass and barometric altimeter helps you keep your bearings no matter how far you explore. The watch also monitors your heart rate, activity, and stress throughout the day. 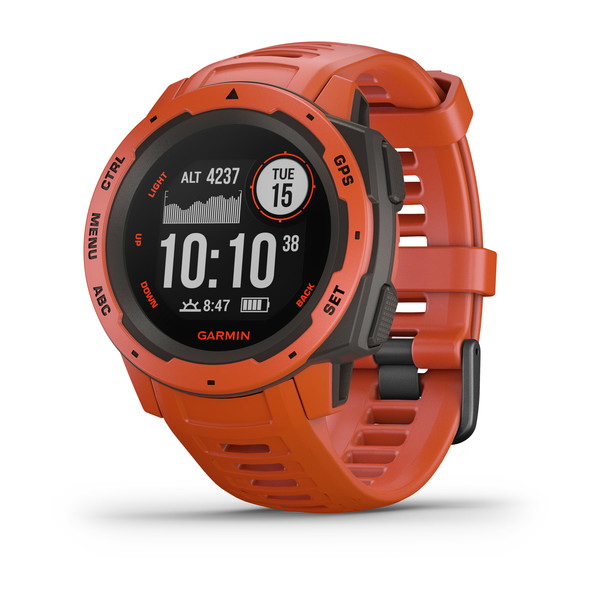 It even has preloaded activity profiles for running, swimming, biking, and more to help you train. 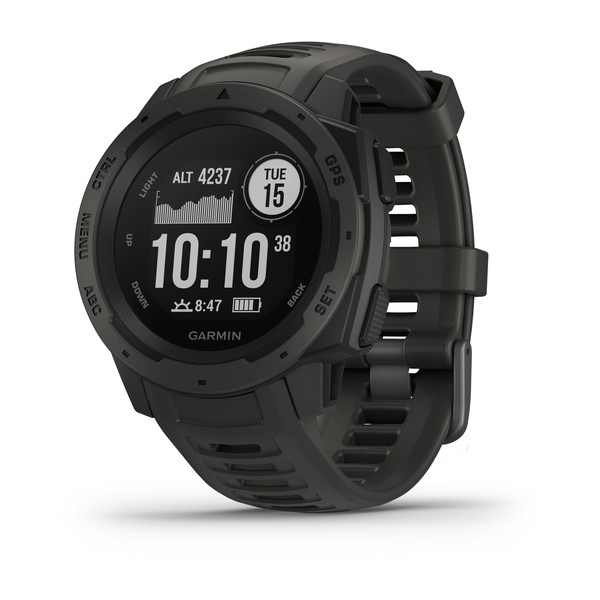 To stay fully connected, you can pair the Instinct watch to the Garmin Connect online fitness community to have access to uploads, live tracking, and the GroupTrack feature. You can so connect to the Garmin Explore website and app to plan routines before you head out.